Jeroen van der Velde was born in 1986 in Breda, the Netherlands.In 2004 he started the Bachelor of Health Sciences at Maastricht University. After graduation, he finished the Master of Physical Activity and Health, also at Maastricht University. As part of his master program, Jeroen completed a research internship at the University of Wollongong, Australia. In 2011, he became involved in The Maastricht Study as a research assistant. Embedded within The Maastricht Study, he started his PhD-project in April 2013. This resulted in the thesis: “Sedentary behavior, physical activity, and fitness: associations with cardio-metabolic health”. In this thesis, Jeroen studied free-living levels of physical activity and sedentary behavior in relation to physical capability (e.g. muscle strength and fitness etc.) and cardio-metabolic diseases (e.g. metabolic syndrome and type 2 diabetes). After completion of his thesis in April 2017, Jeroen worked for 9 months as a postdoctoral researcher at The Maastricht Study, where he examined the relation between cardio-metabolic risk factors and early stage nerve damage. 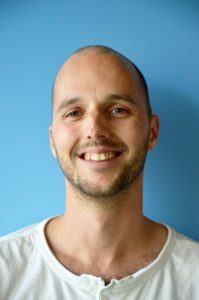 Currently, Jeroen is appointed as postdoctoral researcher with a combined affiliation between the department of clinical epidemiology at Leiden University Medical center and the department of nutrition and movement sciences at Maastricht University. In this project, which is part of the ENERGISE-consortium, he will further study the effects of sedentary behavior and physical activity in the development of type 2 diabetes. In particular, he will examine the role of liver fat in the relation between sedentary behavior and insulin sensitivity.